Nikolay Koshelev (1908-1986) is a historical figure in the Soviet Olympic weightlifting. He was born in the suburbs of Leningrad (St. Petersburg, Russia) and all his career and achievements are connected with his hometown. 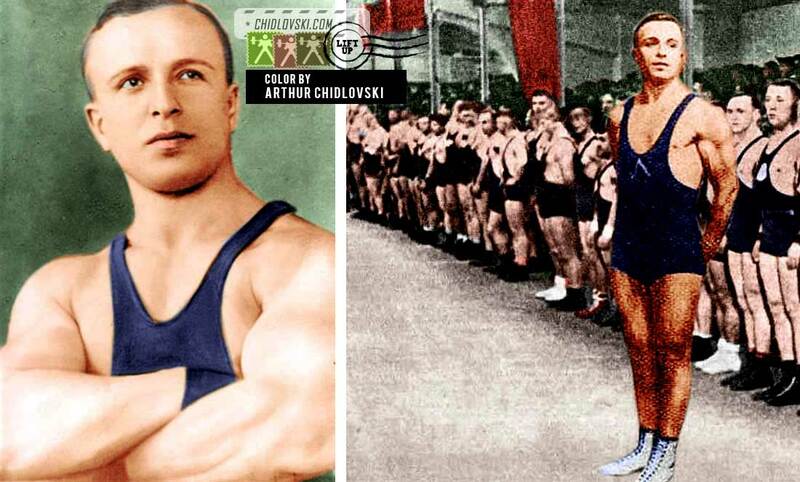 As a distinguished athlete, Koshelev competed for the local weightlifting clubs (Metallist, Zenith, Trud) in the middleweight class in the pre World War 2 national tournaments. He won 4 gold medals (1934-1937) and 1 silver medal (1938) at the USSR Championships. He set 28 national records in the 67.5kg, 75kg and 82.5kg classes and 11 unofficial world records. Afterwards, he worked as a coach and a referee in Leningrad. By trade, Nikolay Koshelev was a locksmith and mechanic. He constantly worked on development of weightlifting equipment and, in the 1950s, Koshelev created the first Soviet shtanga which was certified by the international federation and was considered state-of-the-art barbell set at the time it was made. Koshelev is often called as the “father of the Soviet shtanga” and Lenigrad was the main place in the USSR where Olympic weightlifting sets were manufactured. In fact, the famous shiny chrome “leningradkas” sets were a further development of Koshelev’s ideas and were manufactured in Koshelev’s hometown Leningrad. This is actually a question. Was the shtanga barbell what became the sets used by the Soviets in the 1980 Olympics and other national and international events in the 70’s and 80’s? Of course bumper plates were added by that time.